My vintage Hofner bass is too mellow for modern styles, so I needed a bass for recording and jamming. I dropped into the Bass Gallery in Camden – great store and helpful people, came out with this ridiculously cheap, good sounding and playable P-bass. Brilliant. So good in fact, that I decided I wanted a fretless. 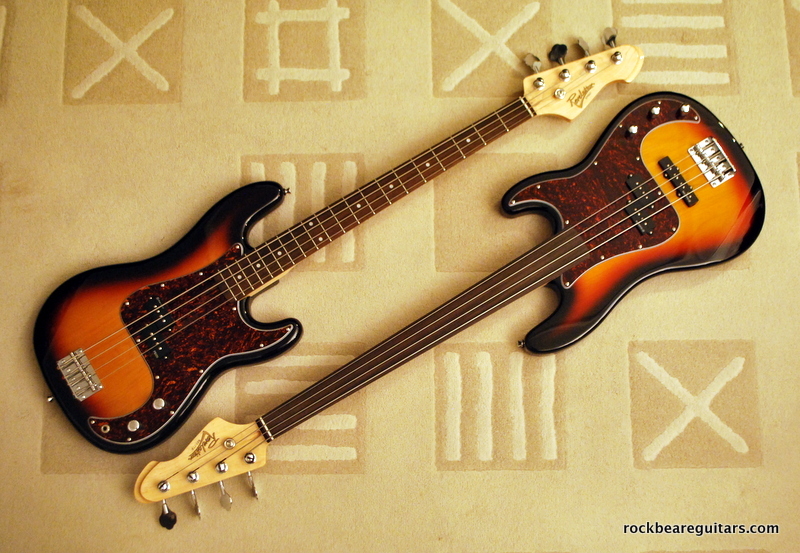 Bass-playing friends advised on J-bass pickups and fortunately the clever guys at Revelation offer a PJ model – P-bass body and neck profile with J-bass pickups. This is the only one in sunburst with a tortoiseshell guard to match my P-bass. Just as good and the pair cost me under £240.